Winter brings snow and all the amazing thrills that come with it. 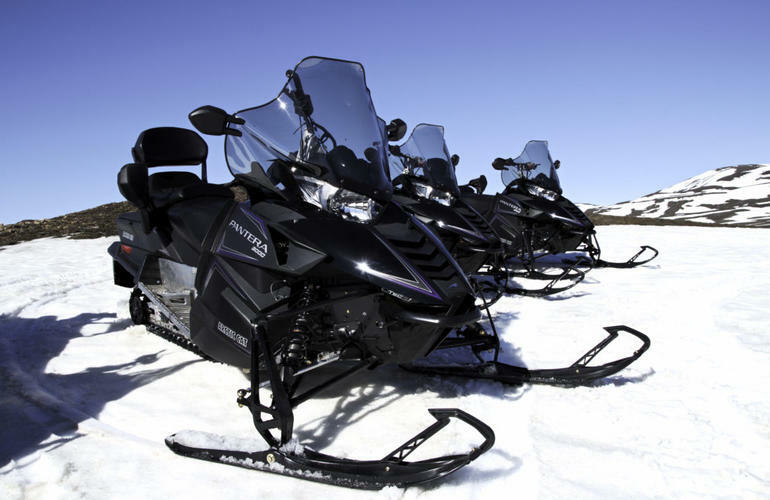 Have you tried riding a snowmobile? It's an adrenaline-inducing activity you can't miss in the beautiful landscapes of Iceland. 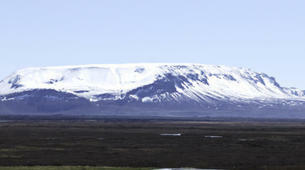 Iceland offers amazing landscapes that you can't imagine. 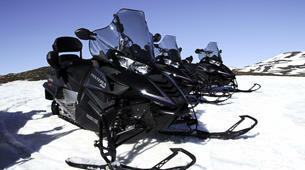 One of the best ways to experience them is driving a snowmobile around the outstanding landscapes of Lake Myvatn. 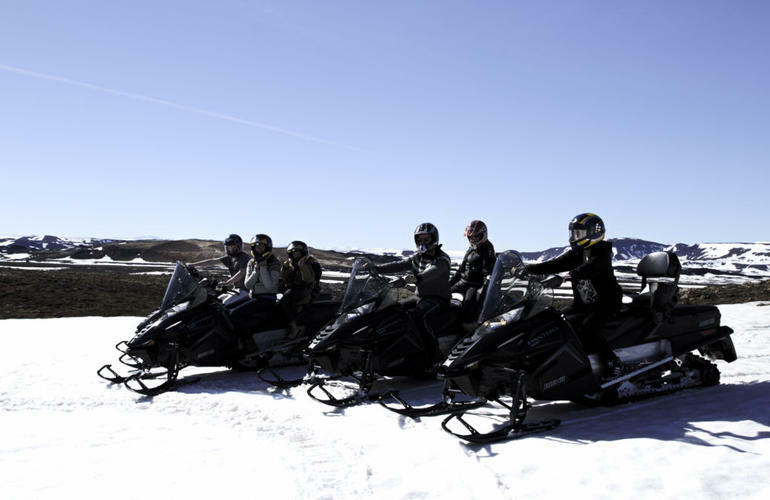 Picture yourself riding a powerful snowmobile just next to lake admiring with the imposing volcanoes and breathtaking beauty of the landscape surrounding you! When Lake Myvatn freezes you'll be able to ride on it! 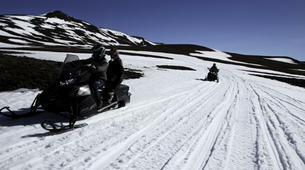 Also, you'll ride the amazing snowmobiles through the volcanic area of Krafla. Discover the craters and fissures of this volcanic which is still an active volcanic zone. An experience of a lifetime! 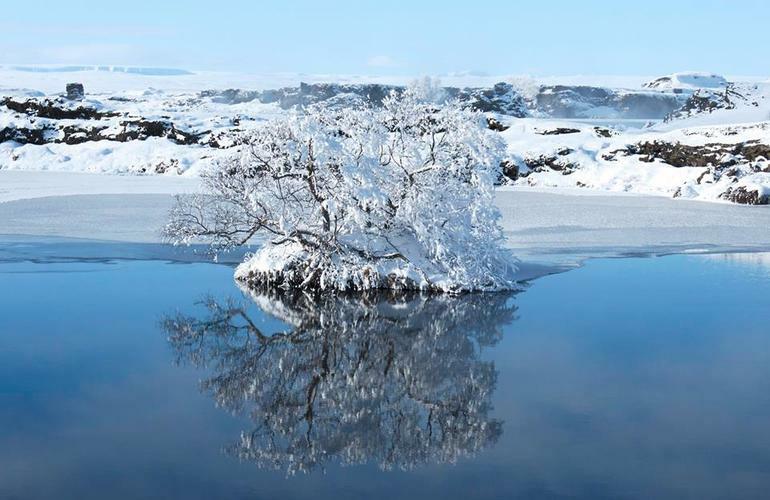 You can choose between a short 30-minute excursion that will take you through Lake Myvatn and Krafla or a 1-hour excursion that will allow you to further witness the magnificence of the region. 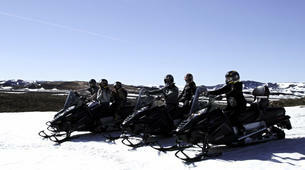 Enjoy the amazing thrill of riding a snowmobile! 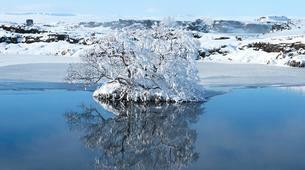 This short tour will take you to explore the Lake Myvatn area. 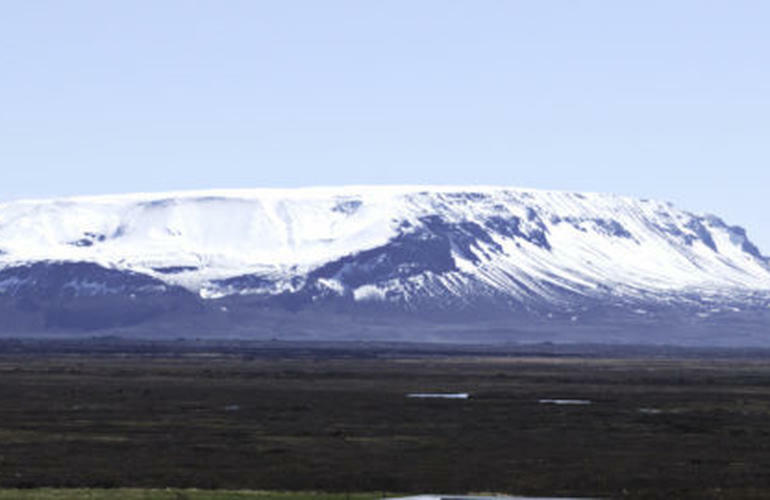 You'll enjoy the magnificent view of the surrounding mountains from the lake or the amazing views of Krafla Volcano. All drivers need to present a valid driver’s license. Passengers can be of any age. Steering the snowmobile is significantly harder with a passenger on the back. It's recommended for beginners to book single rides. Your safety is first priority so the itinerary might be altered or canceled due to bad weather or road conditions. All drivers need to present a valid driver’s license. Minors must be accompanied by an adult.